Calistoga is a wonderful place to visit. Tucked up in the northern part of Napa it is less commercial and is a bit more, “on the real”. We are honored to be able to deliver this hearty blend to you. It comes from such a rockstar winemaker and the best of the best of the best of the best vineyards. According to ancient legend only a virgin sitting naked under a tree possesses the power to capture a unicorn. 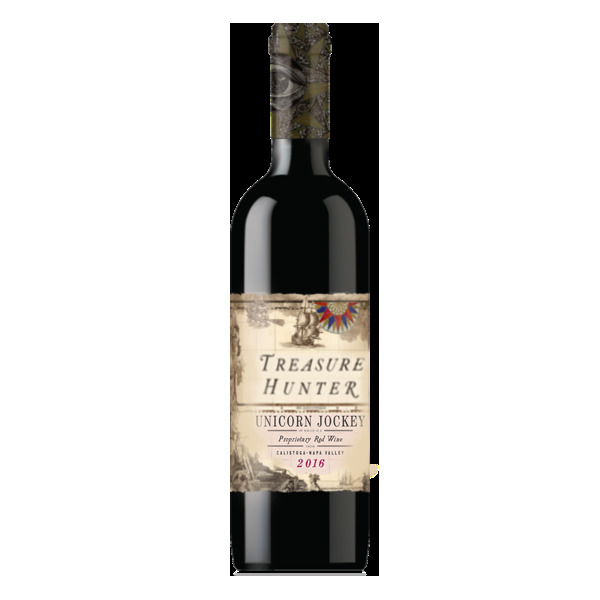 Sounds like an oxymoron to us but clearly The Unicorn Jockey is pure of heart and this wine is as pure as pure as the driven snow. Horse saddle and leather give it an exotic edge, while bright red fruit and clove provide a well-crafted balance of fruit and spice. Sweet juicy red and black berries show a briary brambly side that makes this wine soft and integrated in its richness and undeniable ripeness. Black pepper and shocks of cinnamon complement the fruit. It is above all savory and relatively restrained, elegant in red fruit, soft mellow tannin and balanced acidity, with a lingering taste of wild blueberry. This is a classy style of Zin that features velvety tannins supporting a layered array of black cherry, plum, licorice, toast, vanilla and spice flavors. It's smooth and ripe to the very end, quite elegant and long.